Yum, Yum! We are excited to introduce a sweet new kit. 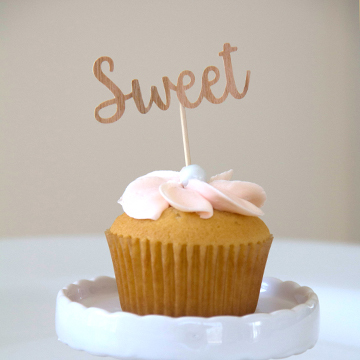 Introducing our Cupcake Topper kit! 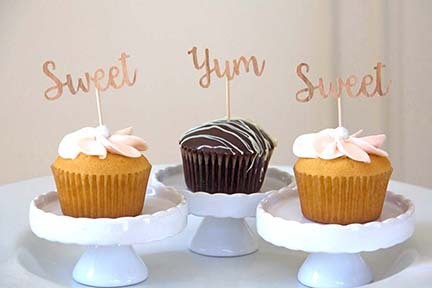 This easy to assemble kit includes the supplies to create a dozen toppers for your favorite cupcakes! Perfect for the holidays coming up. What a fun way to dress them up! 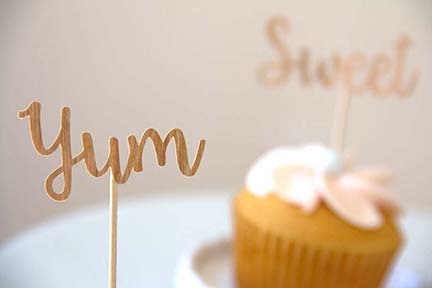 Spruce up your cupcakes with our fun cupcake toppers in real wood! 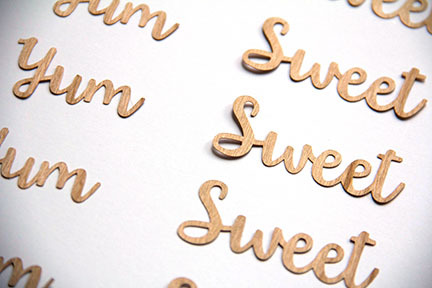 6 ‘Sweet’ and 6 ‘Yum’ Cherry wood toppers. Kit includes toppers, food safe tooth picks & instruction sheet. 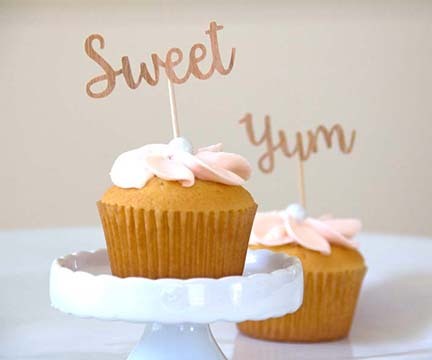 This entry was posted in Crafts & Kits, DIY Projects and tagged Cherry wood, Cupcake Topper Kit.